DESCRIPTION LAKE ACCESS. 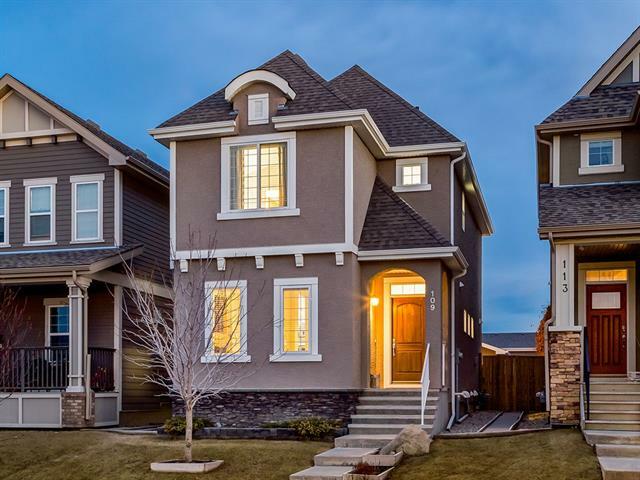 A very detailed elegant executive home with tons of windows, a walkout basement with a fully contained incredible suite, perfect for a nanny or parents (illegal suite) on a very quiet street. A very inviting entrance and a huge great room with vaulted ceilings, main floor den and a very large mudroom with cubbies. The family center, a huge island where you can multi-task-cook, eat, do your homework and crafts. There are 9’ ceilings on all floors, quartz countertops throughout, full height cabinets and a brick fireplace to the ceiling. On the upper floor is the master bedroom with a large walk-in closet, a 5 piece Ensuite with a soaker tub, tiled shower and double sinks. Three additional bedrooms, a large laundry room with a sink and a bonus room. 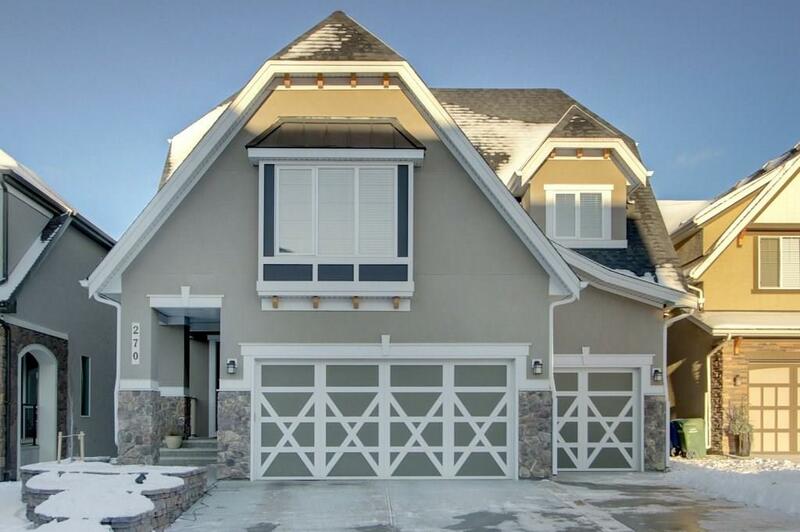 Triple attached garage and beautifully landscaped. A large upper deck that backs onto green space with walking paths to the lake or park. Mahogany is the place everyone wants to live year round. Home for sale at 270 Mahogany PL Se Calgary, Alberts T3M 1W3. 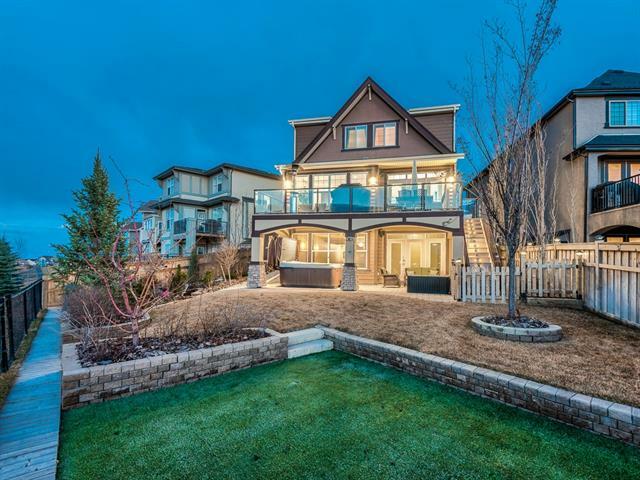 Description: The home at 270 Mahogany PL Se Calgary, Alberta T3M 1W3 with the MLS® Number C4219680 is currently listed at $950,000.